A contoured black polypropylene seat combined with a 7/8", 16-gauge square tubing frame and 14-gauge rear seat brace along with polyethylene floor glides to prevent scratching. 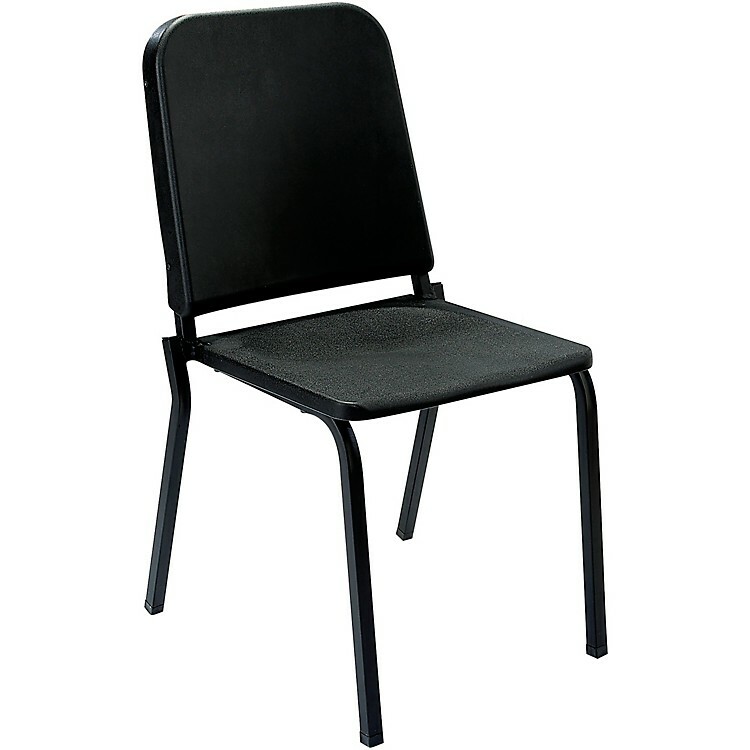 This unit is designed with a "band-pitch style" seat-to-backrest angle of 97 degrees, which allows musicians to perform with optimal breathing posture. Four bumpers protect the black powder-coated paint finish when stacking. Stacks up to 18 chairs high on the #DY82 dolly. Optional right or left tablet arm. Popular with band programs. Order today.